The winter vegetables were so-so. The Brussel’s sprouts were a distinct failure, got a couple of tiny broccoli, and likewise the cauliflower. Not sure if I’ll try again or not. Part of the problem has been a very warm winter, and a spring that’s more like June than March with temperatures in the 80’s. However the Romaine lettuce finally did well, and the carrots are a resounding success I’d say. 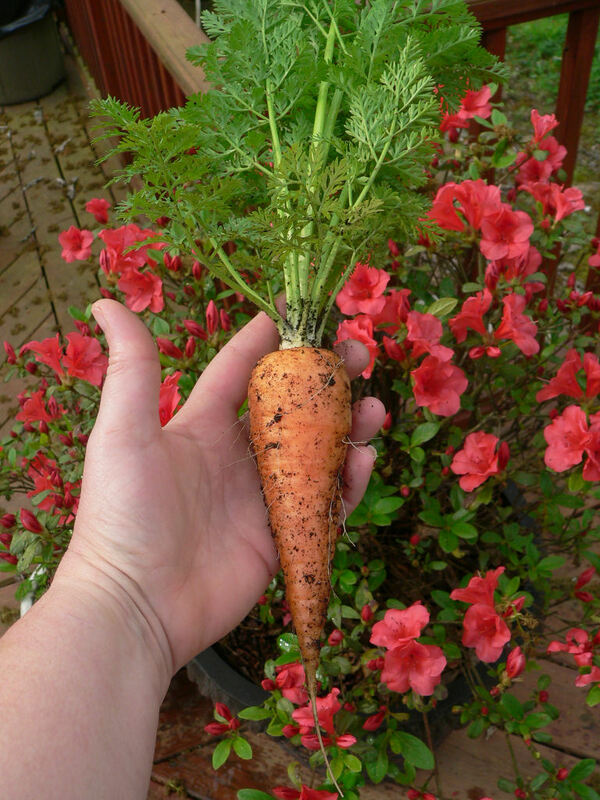 Classic carrot shape, looks like something the Were Rabbit would be after. I may try another variety next year, these are ‘Danvers Half Long‘ which I’ve just discovered is an heirloom variety. I may try one of the long skinny carrots next time, like this hybrid from Burpee. I’ve tried growing carrots before when I lived in Cooks Springs, but never had any luck really. Of course these have been in the ground a long time, since last October/November if I remember correctly. Think I’ll try planting some in mid-late summer to mature after the frost hits. If there’s enough I may try canning or freezing the surplus. The bunching onions are finally getting big enough to do something with, and the leeks are finally doing something as well. Most of this stuff was just kind of dormant through the “winter.” Except for the carrots apparently which were doing their thing underground. 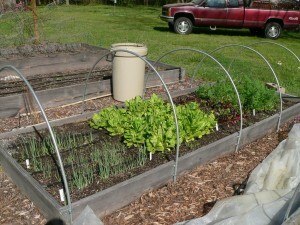 The leeks are in the upper left of the bed in the accompanying photo, the rest of those are the bunching onions. The beets have just done so-so. There might be one or two in there, but again I think it was too warm for them. I’ll probably pull them in the next week or so, likewise a good bit of the romaine which is, with the warmer weather, trying to bolt. Drat. 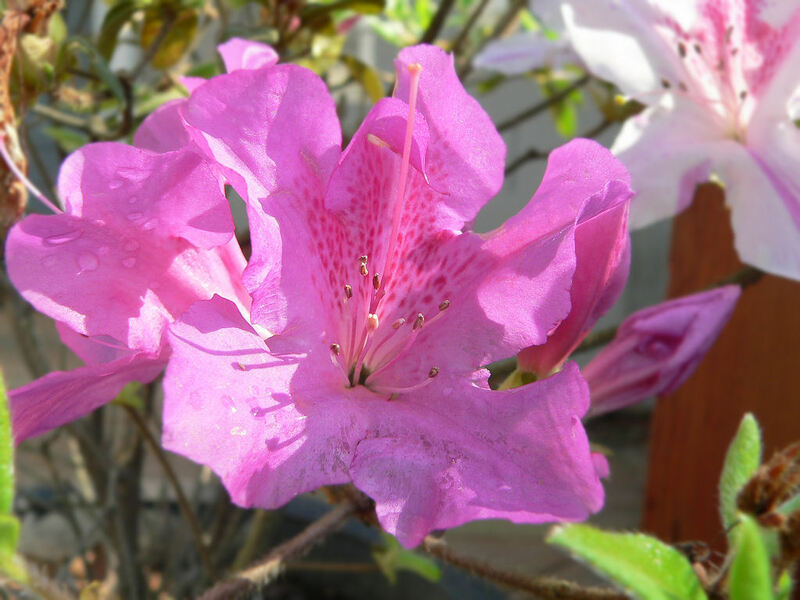 And of course, springtime in the south means azaleas. Lots and lots of azaleas.